Chronic wrist disorders are troubling for the patient whether it is their dominant hand or not. New horizons are focusing on regenerative therapies, biologics, Platelet Rich Plasma (PRP) and Stem Cell Therapy for restorative and tissue repair effects. Wrist pain that fails to improve with conservative management may be the result of osteoarthritis, ligamentous injury, tendinitis, wrist bone dissociation, avascular necrosis, and nerve involvement such as carpal tunnel syndrome. 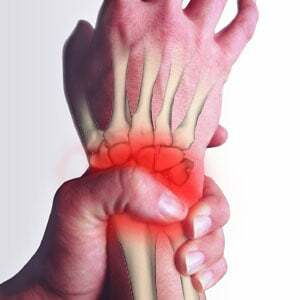 A specific cartilage disorder in the wrist known as the triangular fibro-cartilaginous complex (TFCC) may be torn and lead to chronic wrist pain. Avascular Necrosis (AVN) is a condition where the blood supply to the bone has been lost (avascular) and then the portion of the bone dies (necrosis). Wrist AVN is seen in the scaphoid typically, and may result from trauma. Regenerative Medicine has emerged as a pioneering field for Stem Cell Therapy in many medical disciplines. 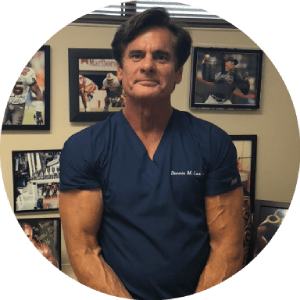 The use of Platelet Rich Plasma (PRP) utilizes the growth factors found in the bloods platelets to achieve a healing response. The use of these regenerative technologies towards chronic wrist disorders, musculoskeletal and sports injuries is another application that has been used in many other conditions. Much research has been done in osteoarthritis. Traditional treatment models have not shown that the osteoarthritis model progression has been altered. The regenerative field including Stem Cell Therapy has generated excitement as a model that may alter the osteoarthritis progression paradigm. A treatment approach that regenerates and repairs rather than surgical remove tissue or fuse a joint is valuable in the alteration of osteoarthritis progression model. Repetitive trauma increases the likelihood of osteoarthritis. Surgery is a form of trauma. Minimizing trauma is a key direction for current and future regenerative technologies. The use of Regenerative Medicine strategies may be a useful conservative alternative for chronic wrist disorders.